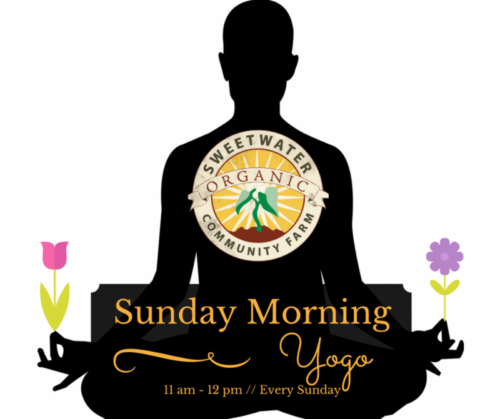 Sunday Yoga at Sweetwater Organic Community Farm. Every Sunday before the market at 11 AM. Come join us. Bring your mat and take a tour of the farm afterwards.